Australia-based rice exporter SunRice is negotiating an agreement with local conglomerate Soma Group to export Cambodian rice to Australia, according to a senior official from the Ministry of Agriculture, Forestry and Fisheries (MAFF). A memorandum of understanding (MoU) to further negotiations between the companies was already signed last week in Australia, presided by Cambodian Minister of Agriculture Veng Sakhon. Hean Vanhan, director-general of agriculture at MAFF, told Khmer Times yesterday that the ministry is acting as facilitator during the talks. “The result of the meeting between SunRice and Soma is positive. Sun Rice is interested in Soma, and they will do further discussion,” Mr Vanhan said. Talks are now focused on whether Soma Group will sell its produce directly to the Australian agricultural giant, or whether SunRice will partner up with the Cambodian company to invest in the local agriculture sector and export Cambodian rice under its own brand, Mr Vanhan revealed. “If Soma and SunRice bring milled rice from Cambodia to process it in Australia their market will be much bigger,” Mr Vanhan said. “Soma will send a sample of rice to Australia for analysis to check whether or not this is possible,” he said. SunRice supplies about 720,000 tonnes of milled rice per year to 50 different countries. However, the company is only capable of producing 600,000 tonnes, so they are seeking new partnerships to meet demand for their products, Mr Vanhan explained. He said that SunRise is looking for partners that have quality products and are able to maintain a stable supply, adding that it is a great opportunity as Cambodia had a 5-million ton rice surplus last year. Mr Vanhan pointed out that SunRice is Australia’s biggest rice exporting company and has one of the most recognisable brands of the Oceanian nation. From January to September 2017, Cambodia exported nearly 422,000 tonnes of milled rice, an increase of more than 16.5 percent compared with the same period last year, according to the latest report from the secretariat of the One Window Service for Rice Export Formality. 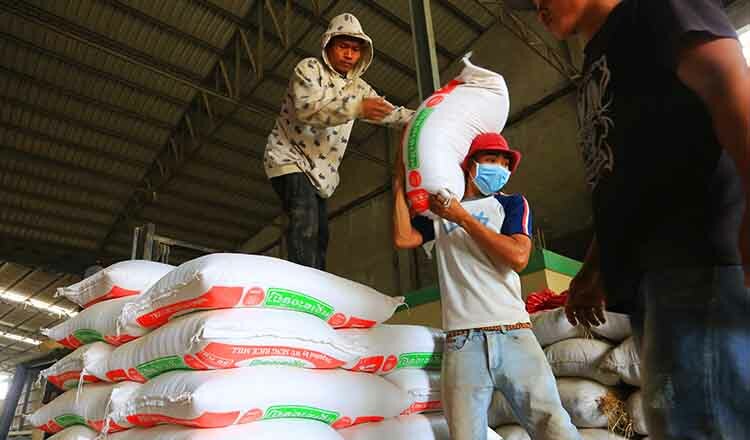 The report finds that nearly 70 countries have been importing Cambodian rice, with China being the largest buyer, importing more than 120,000 tonnes of Cambodian rice, followed by France, with over 50,000 tonnes, and Poland, who buys around 35,000 tonnes.